Golf hero Ben Hogan bore a mystique that still captivates golfers: a silent, almost eerie concentration that intimidated his opponents, a presence any politician or actor would envy, and an ability to hit a ball so squarely it sizzled as it left his club. Hogan won four U.S. Opens in six years, three after a near-fatal automobile accident. His injuries limited him to six tournaments in 1953, but he won five. It was arguably the greatest year ever in professional golf history. 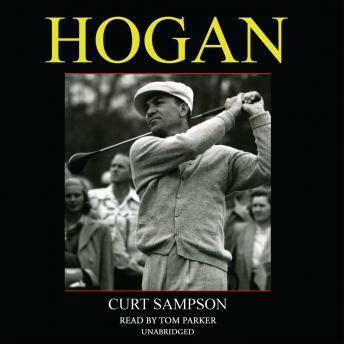 But in the midst of the acclaim, myth distorted and obscured Ben Hogan. No one knew what drove him to practice until his hands bled, or what private demons built the high walls that surrounded him. Here at last is the Hogan no reader has ever encountered. From the poverty of his youth and the suicide of his father to the failure and conflict that stalked him into middle age, Hogan< traces an unforgettable portrait of an amazing man.